Despite the Mizuno Endure 24 event being a couple of months away, some preparation work is already underway at Reading Joggers HQ as the club once again starts to prepare for its annual social running get together. This blog post aims to give you a bit of background as to why this event is becoming something of an annual social event for the Reading Joggers and also serves as an opportunity for me to say thank you to Adrian Lee who has coordinated and organised the Reading Joggers Endure 24 entries for the past couple of years and is once again gearing up for 2014. I asked Adrian if he would share his thoughts on organising the event itself and he kindly penned these words for me to share. “When I first saw the Run24 event back in 2012, I thought the club might get a couple of teams together, made up of our longer distance enthusiasts. Little did I know how this event would grow so quickly, both as a key event for Reading Joggers, and the overall size of the race. 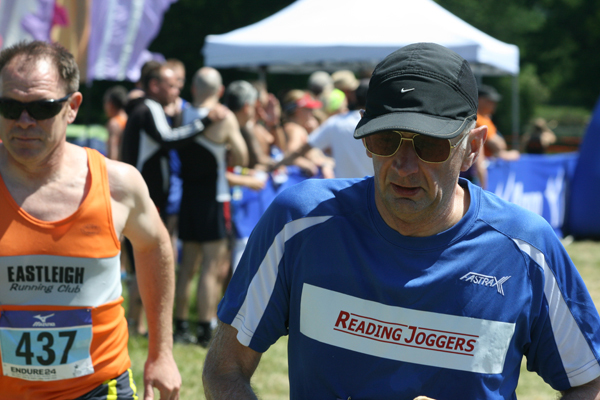 Reading Joggers is a club of over 160 members, and is growing steadily. It prides itself on being a friendly club, but that doesn,t mean that its members are any less serious about their running. It just means that they take enjoying themselves seriously as well. We are also fortunate in having people who will put themselves out and make things happen for the benefit of the club. In the first year we had essentially four 8 person mixed teams, plus a three man team, and a male solo, a little known ultra runner called Paul Ali (never heard of him1). Two of the club members volunteered to do catering for all the participants, getting everyone to bring some food, and laying on two meals and constant hot drinks and snacks. We also had a club member who held a team building BBQ prior to the event in his back garden, and another who led some night runs for novice night time runners to try out their headtorches. I even managed to get some student massage therapists from St Mary’s College at Twickenham to come along and provide continual massage just for the Reading Joggers runners. On the Friday evening, we all set up our tents, and gazeboos together, so that we had a Reading Joggers ‘tented village’. During the event the club members all had a great time, and we were lucky enough to win the 8 person mixed team award, and the male solo categories. We also had a couple that celebrated their 65th birthdays by running as a mixed pair and covering an astonishing 100 miles in the 24 hours. Following the event I had so much great feedback from the Reading Joggers who took part, that it was clear we had started something that would be an annual event for the club. For the 2013 event we had many more Reading Joggers taking part, over 40, and had a much larger number of solos, as well as 8 person mixed teams and a 5 person mixed team. 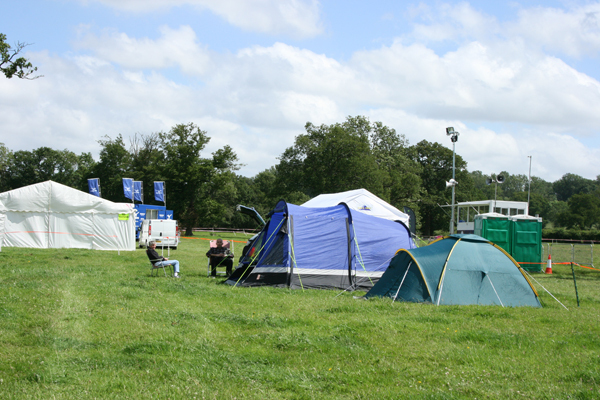 We were better organised this time, with each team having its tents close together, and having a prime location on the field along side the course parallel to the start finish. Again the participants loved the event, and several team captains signed up for the 2014 event, only weeks after completing the 2013 version. Fast forward to 2014. With some teams already sorting themselves out, we already have 60 Reading Joggers down for the event. We have assembled another strong 8 person mixed team to see if they can retain the title for the club. We have three other 8 person teams, three fives, four pairs and at least 6 solos. We have a whole series of events running from the presentation of certificates for the 2013 runners at the clubs AGM in March, night practice runs in April, a team building BBQ at a local educational farm, an overnight run for solos in early June. We will have catering, massage, and the Reading Joggers tented village. We have a club song to be used when faster club members in the 8 or 5 man teams catch up with any of the pairs or solos out on the course (I didn’t know about this? Paul). We are even going to have some fun awards during the event that can bring everyone together at regular intervals, partly to make sure that people in the pairs can feel part of the event, even if they are mostly focused on running, or recovery. Finally we have a regular newsletter which is superbly produced by the clubs newsletter editor to help coordinate, inform and motivate us all. Two years ago I had no idea that I was going to start something that would bring 60 club members together for most of a weekend. Now we are all looking forward with anticipation for a weekend which will both be a challenging running event, great fun, and bring club members together in a way that demonstrates the values of the club. I know there are several other clubs who are going to be well represented, and I hope they to are able to use the event to create a club spirit which will last way beyond the time we all drive home on sunday, weary, but with huge grins on our faces”. I feel a little guilty as I’ve organised my own team of work mates and a couple of friends this year (traitor) but I will definitely be hanging around the Reading Joggers tented village for part of the weekend (especially when they are serving the burgers!). 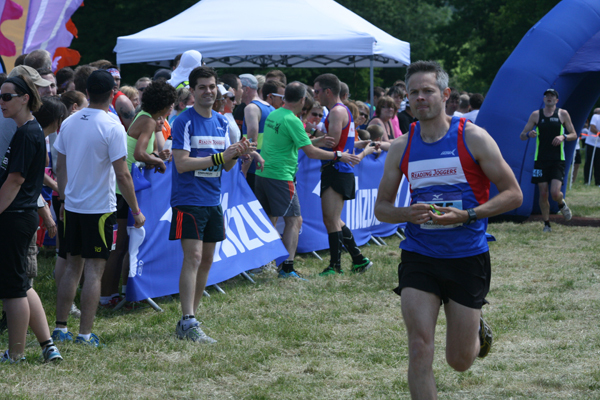 Good luck to all the Club Teams, Pairs and Solo Runners taking part in the Endure 24 this year.